Little P just won't leave it alone, she keeps examining it because the envelopes are slightly transparent which is quite tantalising to a four year old I guess. She finally got to open one and she grabbed the envelope and ran off into the other room to eat them. Mr. Leafy is more interested with what's going on outside. His new trick is standing up and peeking over the top of his play pen. I'm so pleased we got this playpen during our three week long family illness, its been a life saver when I'm too ill to watch him like a hawk. So it is the start of all things festive, and that means our annual house sort out and make space for a tree. We are hoping to do this next week! I think I need to write a list of everything I need to do. December goes so quickly these days. Kids are so cute! Love your Advent creation..lovely, even from your sick couch (poor thing). Baby looks perfectly happy in his playpen by the window. Tell sis she is a good sister sharing her toys with brother. 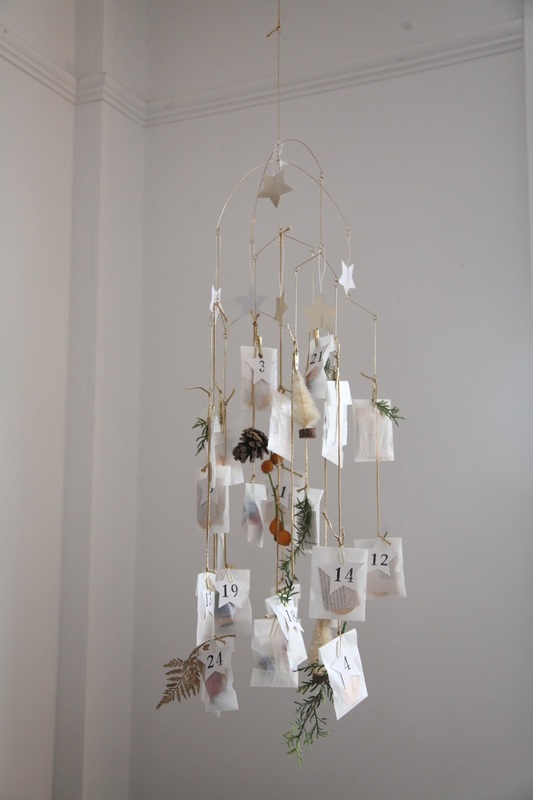 Cute advent calendar idea, and Mr L is getting soooo tall!! Very nice calendar! 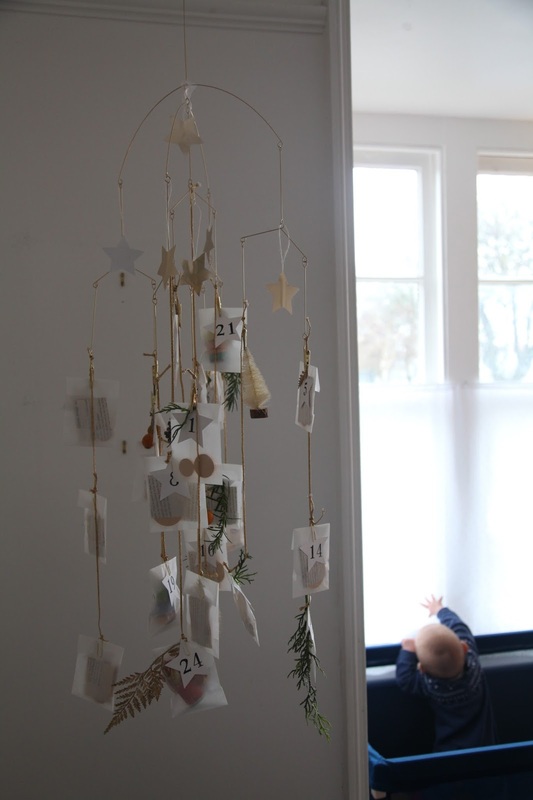 I always love the 'christmassy-posts' on your blog, can't wait to see your tree!